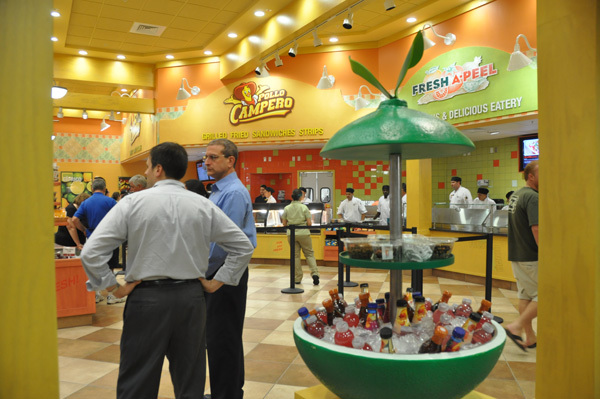 We happened to time it just right tonight for the grand opening of Pollo Campero at Downtown Disney at Walt Disney World. They had just opened for business. 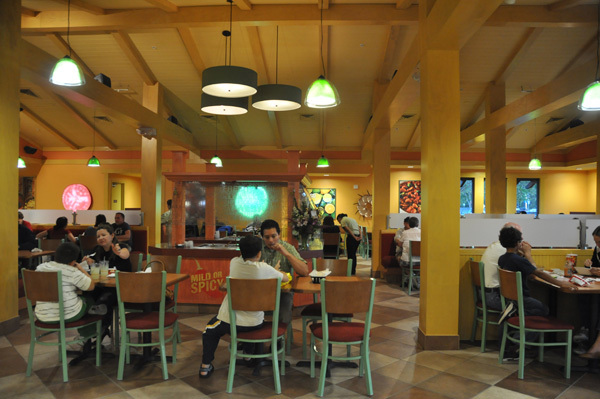 This restaurant replaces the McDonald’s that used to be there. 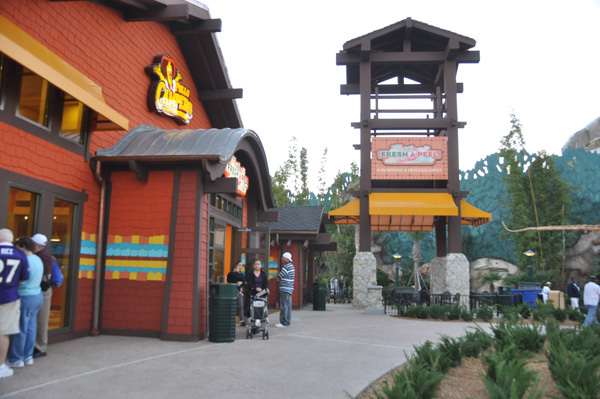 It is near the T Rex Cafe restaurant. 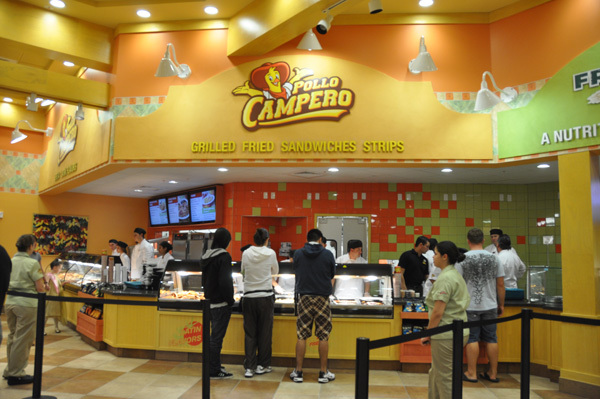 We had just eaten dinner at Paradiso 37 or we would have tried the offerings at Pollo Campero. 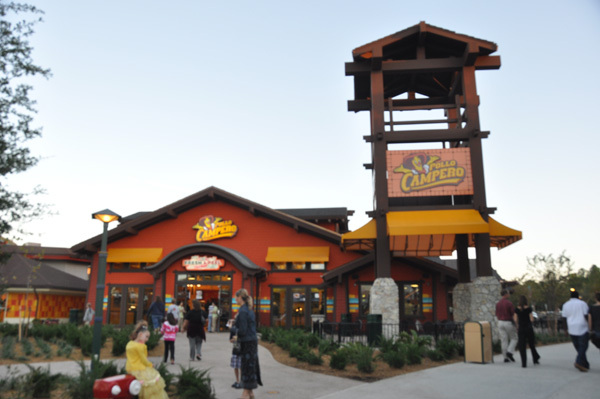 The staff was extremely helpful and there was already a large crowd dining. 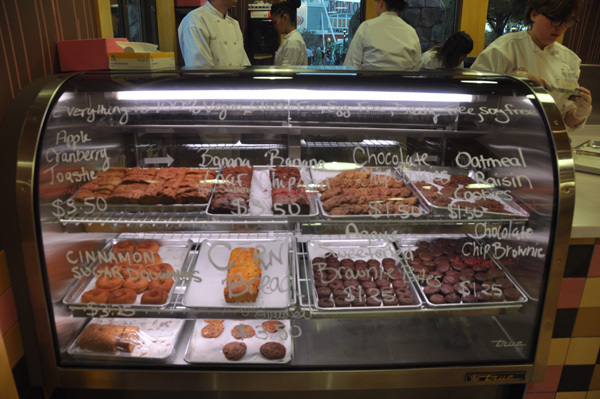 The first place that caught my eye was the Bakery. I am thrilled that they have opened a place with snacks like this! The first thing they asked if I had any dietary restrictions. 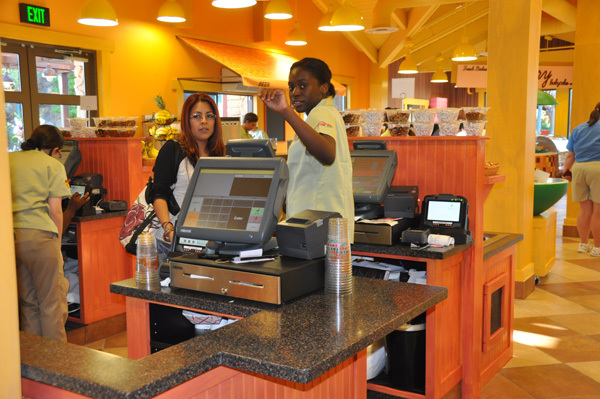 They offer gluten free, dairy free, soy products and some items are sweetened with agave. 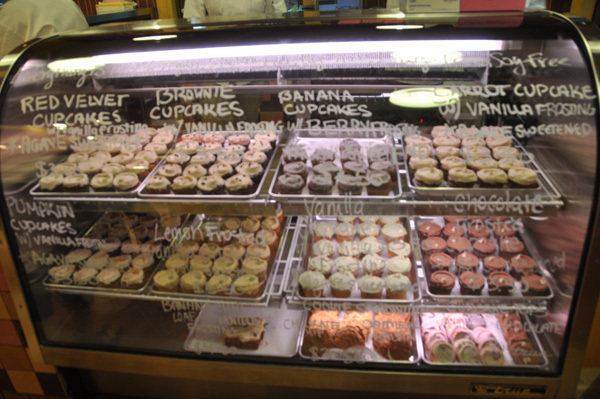 The carrot cupcake was heavenly. 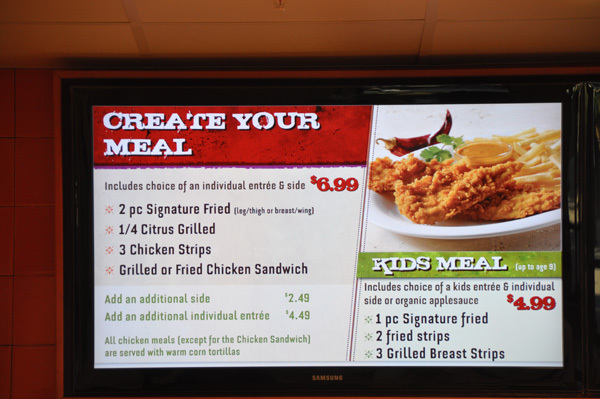 The restaurant offers chicken, with lots of sides. 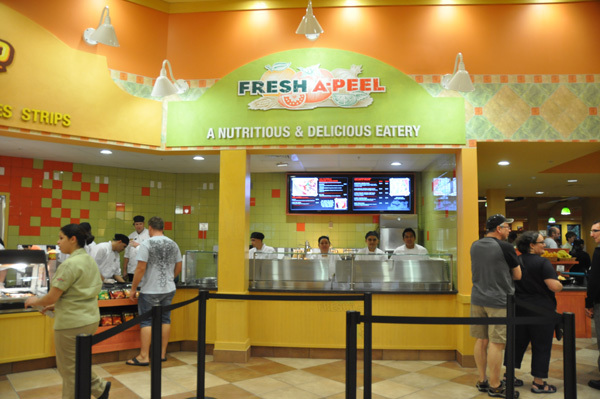 Fresh A-Peel offers salads, wraps and all natural burgers and hot dogs. 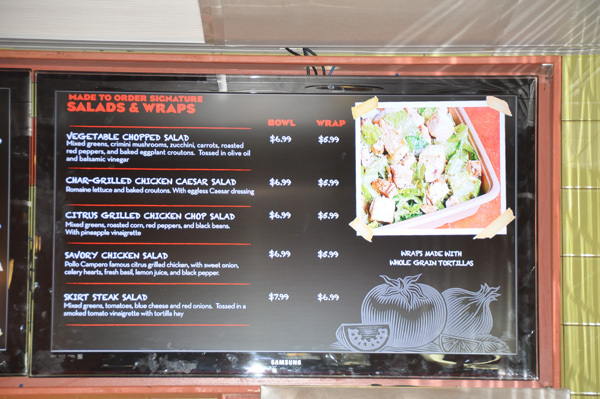 They also have a grab ‘n go area with ready made salads, snacks, fruits, nuts and desserts. They will also be serving breakfast. 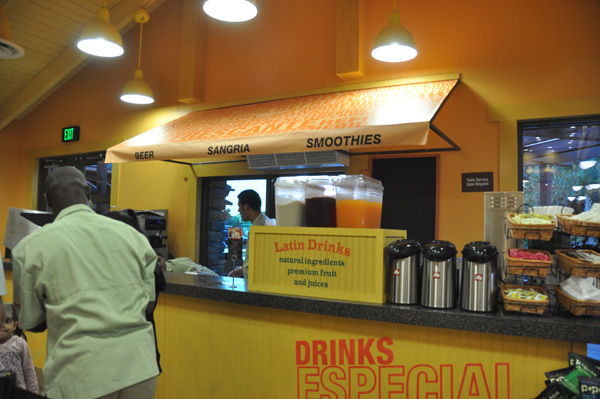 The items include french toast, breakfast burritos, empanadas, fresh fruit, made to order oatmeal and beverages which include fruit smoothies and fresh juices. We will be back to sample the food. I will be sure to report back my findings. Update: We went back to sample the food. I wasn’t sure I was going to like the chicken but I was pleasantly surprised. 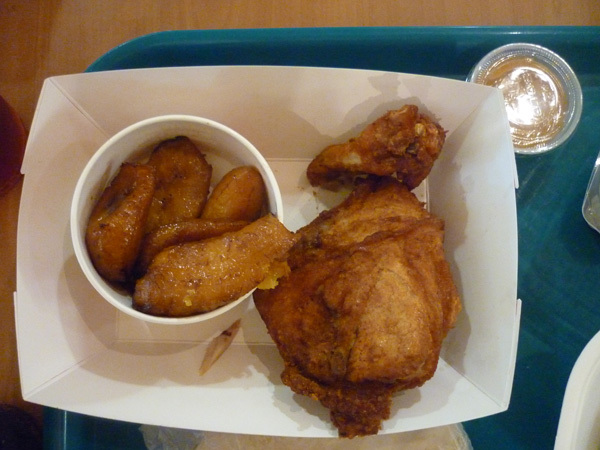 The fried chicken was tasty and moist. It wasn’t heavily spiced like I thought it would be. 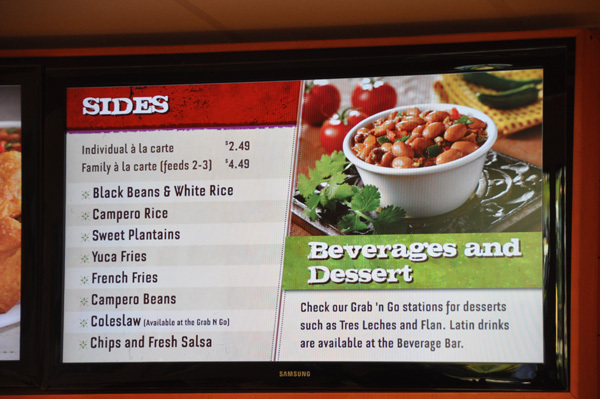 I had the sweet plantains for my side. 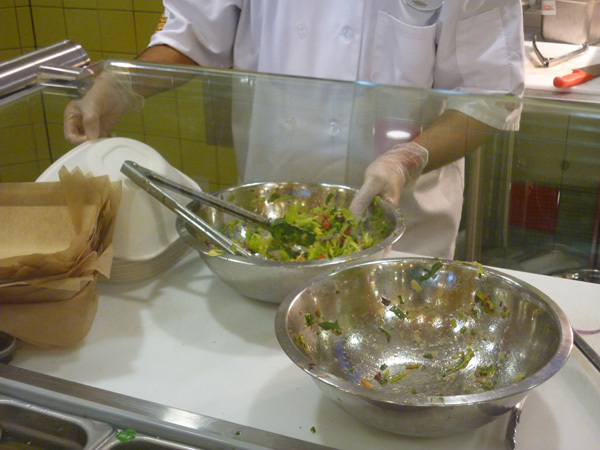 I also got an order of cole slaw which I enjoyed. 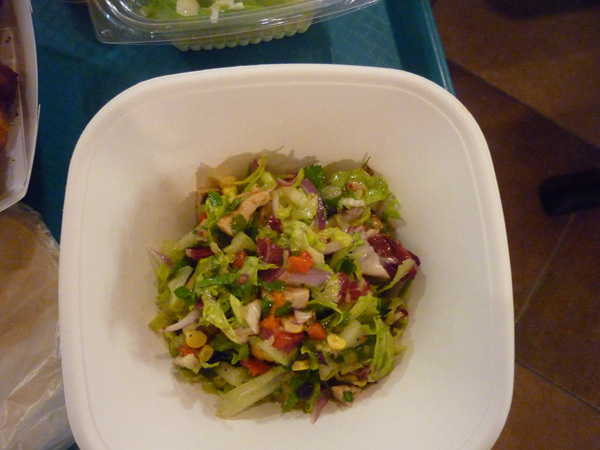 My daughter had the citrus chicken salad and she enjoyed it. She did think the salad was small for the price. 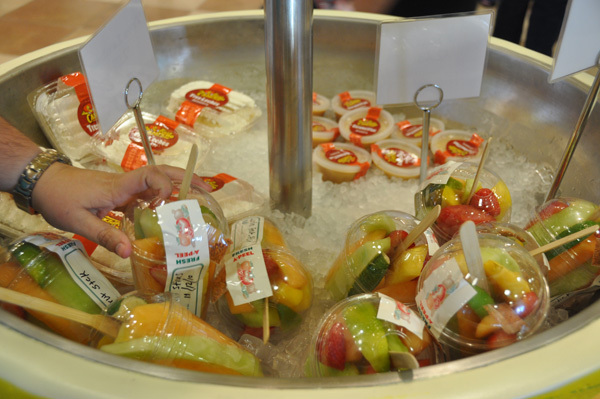 We made the ultimate sacrifice for the blog and tried the sweets. 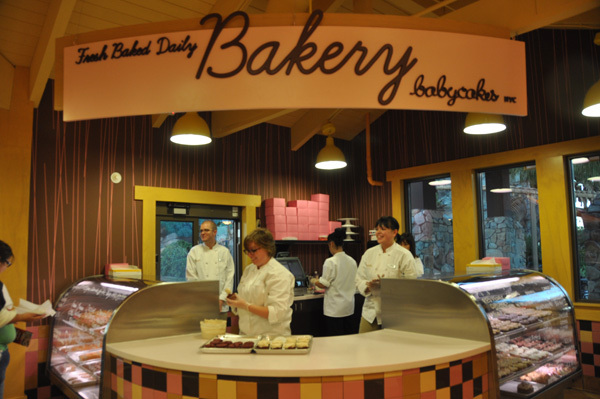 I had a chocolate cupcake with chocolate icing, and my daughter ordered a chocolate chip cookie. I enjoyed my carrot cake cupcake more but the chocolate cupcake was moist and tasty. The chocolate chip cookie tasted to us like our homemade cookies. 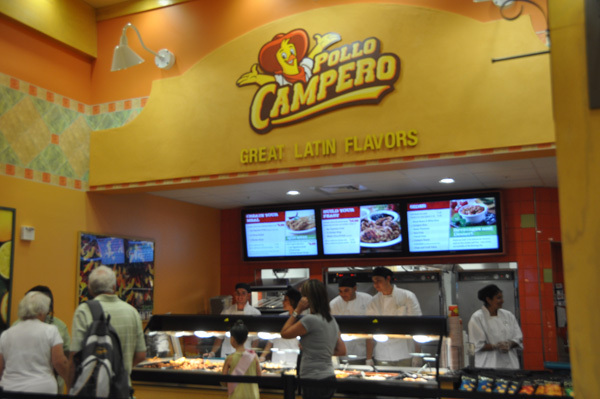 So be sure to leave room for dessert when you visit Pollo Campero! 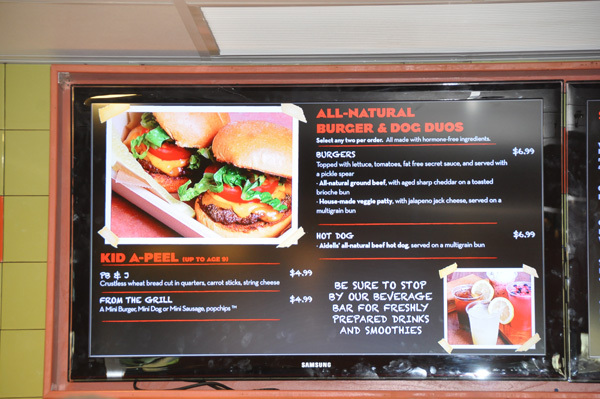 Disney’s 2010 Earnings – Good for Investors or Theme Park Guests?